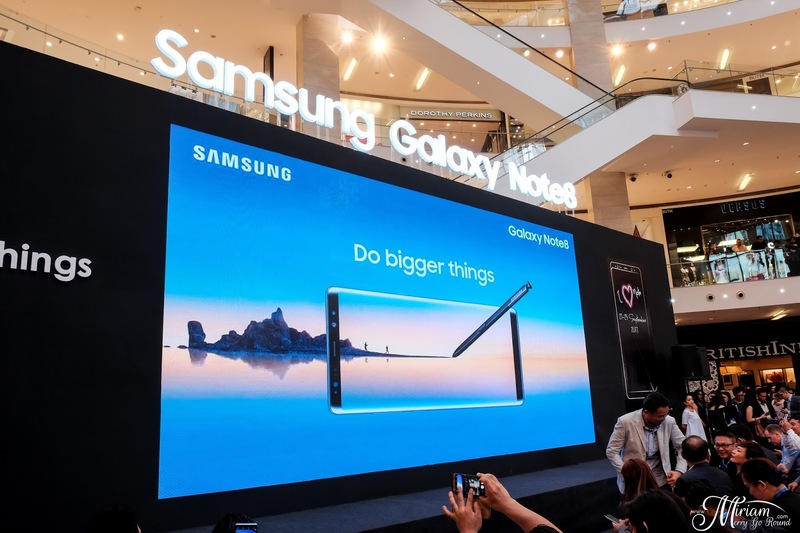 The Samsung Galaxy Note 8 has officially launched in Malaysia last week at Pavilion Kuala Lumpur. The new Galaxy Note 8 features a refined design, an enhanced S Pen, a best-in-class dual camera and innovative entertainment and productivity capabilities to help people do bigger things. 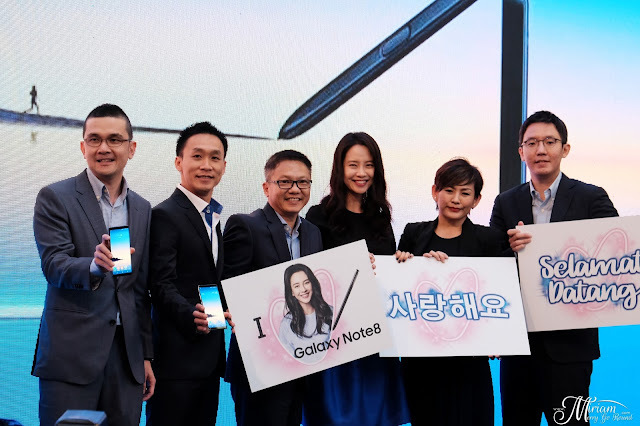 The special appearance of Korea's Running Man ace, Song Ji-Hyo marked the grand launch which captured the attention of invited guests and sent the crowd into a rapturous cheer. Demonstrating a new form of communication using the Galaxy Note 8's newest S Pen feature, Live Message she expressed her excitement to every fan. Live Message allows you to reveal your unique personality and tell expressive stories. 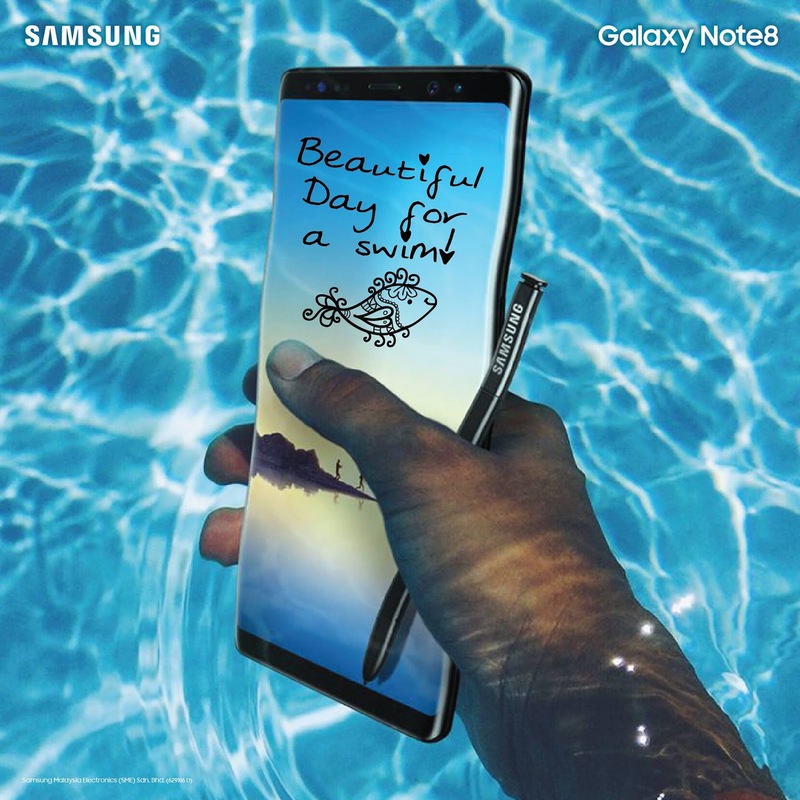 With the Galaxy Note8, you can now share animated texts or drawings across platforms that support animated GIFs. 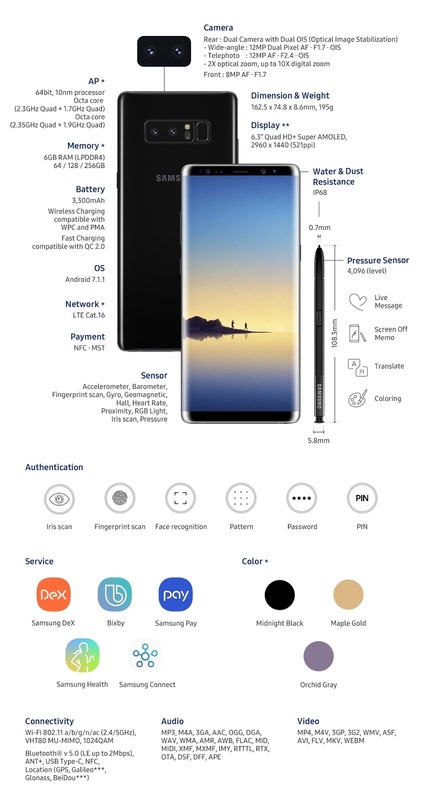 It’s a whole new way to communicate with the S Pen—adding lively and emotional connections that bring your messages to life. 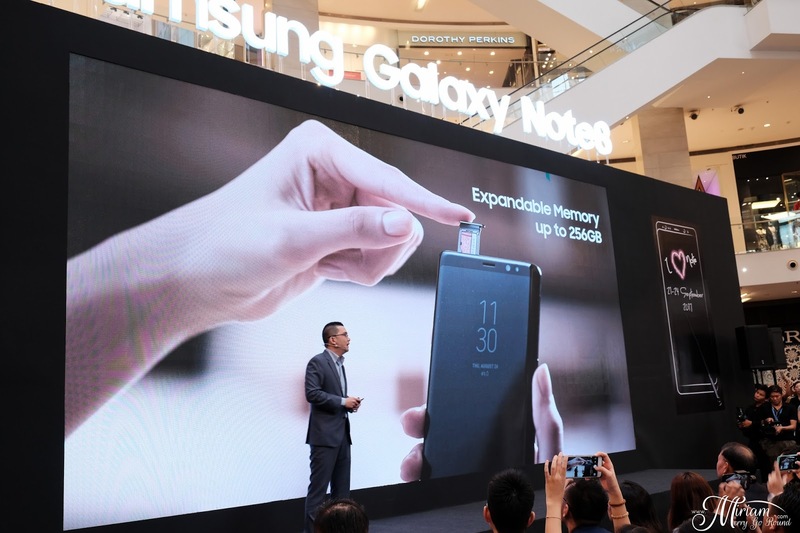 The Galaxy Note 8 has the biggest screen ever on a Note device, yet its narrow body makes it comfortable to hold in one hand. The 6.3-inch Quad HD+ Super AMOLED Infinity Display lets you see more and scroll less. 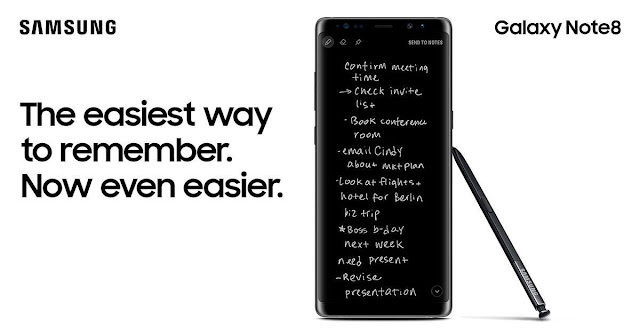 The Galaxy Note8 gives you more room to watch, read and draw—making it the ultimate multitasking smartphone. Note users have long been able to do more with Multi Window. With the Galaxy Note8, the new App Pair feature lets you create a custom pair of apps on the Edge Panel and simultaneously launch two apps with ease. Watch a video while messaging your friends or dial into a conference call with the number and agenda in front of you. 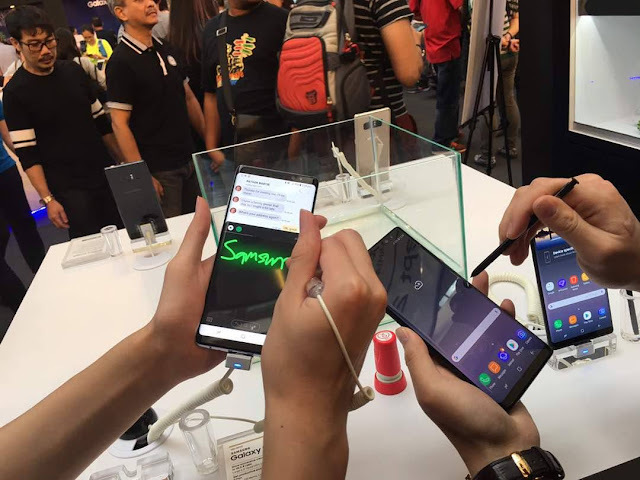 users to express themselves in ways that no other stylus or smartphone ever has. Those of you who have short term memory or what I call Dory memory like me, the Always on Display is an additional feature that will really help you. Off screen memo allows you to take up to 100 pages of notes as soon as you remove the S Pen. You can pin the notes to the Always on Display and make edits directly too. 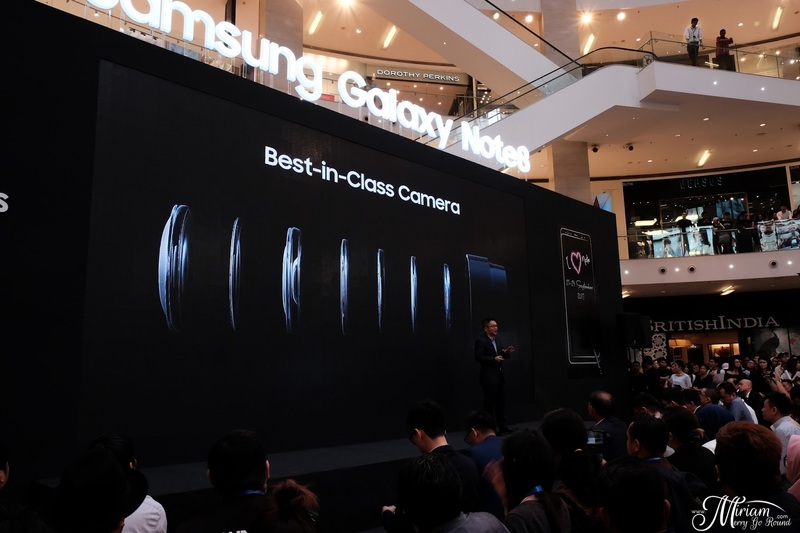 For most consumers, one of the things they look for when purchasing a new device is the camera. For more information, you can read up on my hands on experience for the Galaxy Note 8 camera during the Picture Perfect Workshop. 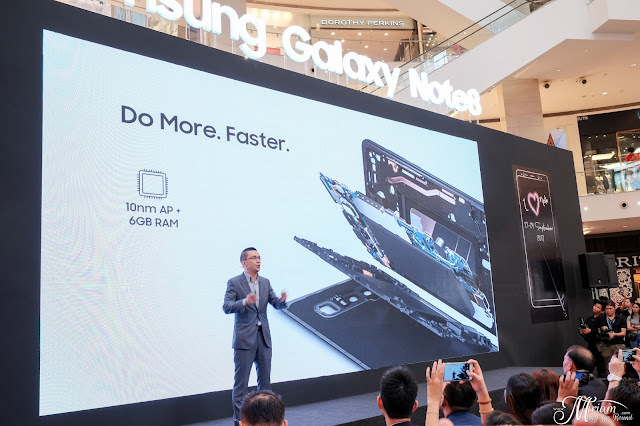 The Galaxy Note8 is the first smartphone with two 12MP rear cameras with Dual Optical Image Stabilisation (OIS) on both the wide-angle and telephoto lenses. The Galaxy Note8’s Live Focus feature lets you control the depth of field by allowing you to adjust the bokeh effect in preview mode and after you take the photo. 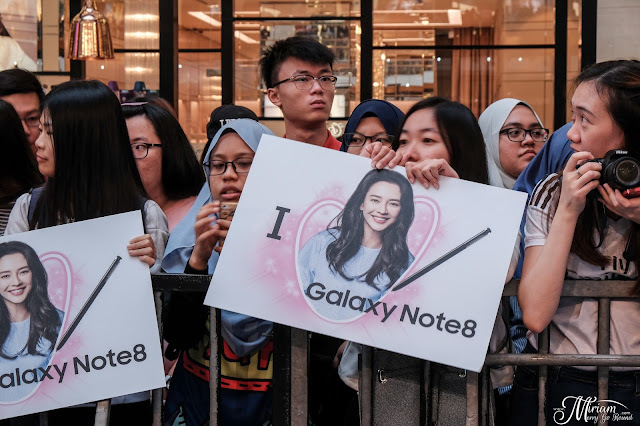 The Galaxy Note8 is also equipped with an industry-leading 8MP Smart Auto Focus front-facing camera for sharp selfies and video chats. Galaxy of Features and Services. Of course, not forgetting other features like Water and Dust Resistance, Fast Wireless Charging, Biometric Security Authentication - including iris and fingerprint scanning and the 6GB AM, 10nm processor powerful performance and Bixby, your now hightech assistant.